^ 6.0 6.1 Holden, 43. ^ Brown, Crisis, 137–47; Polayansky, Quest, 207–8, 219–20; Wiley, Tchaikovsky, 147–50. ^ Brown, Man and Music, 430–2; Holden, 371; Warrack, Tchaikovsky, 269–70. ^ Brown, Man and Music, 431–5; Holden, 373–400. ^ Tchaikovsky was not gay, says Russian culture minister. 衛報. 2013-09-18. 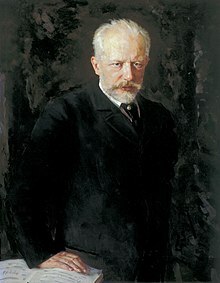 In the case of Tchaikovsky his homosexuality is so well documented by his own writings and the writings of others that it is simply ludicrous to suggest otherwise," said the author Konstantin Rotikov, who has written a history of gay Saint Petersburg. "It's a historical fact. History doesn't change just because we are trying to push a certain agenda today. ^ Sorry, Russia, but Tchaikovsky Was Definitely Gay. 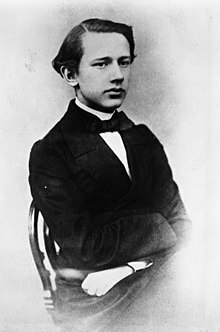 Tchaikovsky's letters and diaries, as well as the letters of his brother Modest, who was also gay, make clear his orientation. ^ 17.0 17.1 俄羅斯的同性戀恐懼殃及柴可夫斯基. 德國之聲中文網. 2013-11-16. ^ Tchaikovsky was gay but Russians love him anyway: Putin. taipei times. 2013-11-09. ^ 俄禁同令發難電影 柴可夫斯基傳記片被改性向. 東方早報. 2013-08-28. Warrack, John, Tchaikovsky (New York: Charles Scribner's Sons, 1973). ISBN 684-13558-2. Holomon, D. Kern, "Instrumentation and orchestration, 4: 19th century." In The New Grove Dictionary of Music and Musicians, Second Edition (London: Macmillan, 2001), 29 vols., ed. Sadie, Stanley. ISBN 1-56159-239-0. Wiley, Roland John, "Tchaikovsky, Pyotr Ilyich." In The New Grove Dictionary of Music and Musicians, Second Edition (London: Macmillan, 2001), 29 vols., ed. Sadie, Stanley. ISBN 1-56159-239-0.